Looking for a great home and great location? Look no further than The Villages at Vallambrosa! This 2 story home's features include the living room with wood flooring, the galley style kitchen with breakfast area, the garage was closed in and conditioned for a den area, and the privacy fenced back yard has a covered screened porch for all your backyard festivities. Yard maintenance is a breeze with mowing and edging included in your $45.00 a month HOA fee. A traditional style neighborhood with street lights, side walks and green space with play grounds. 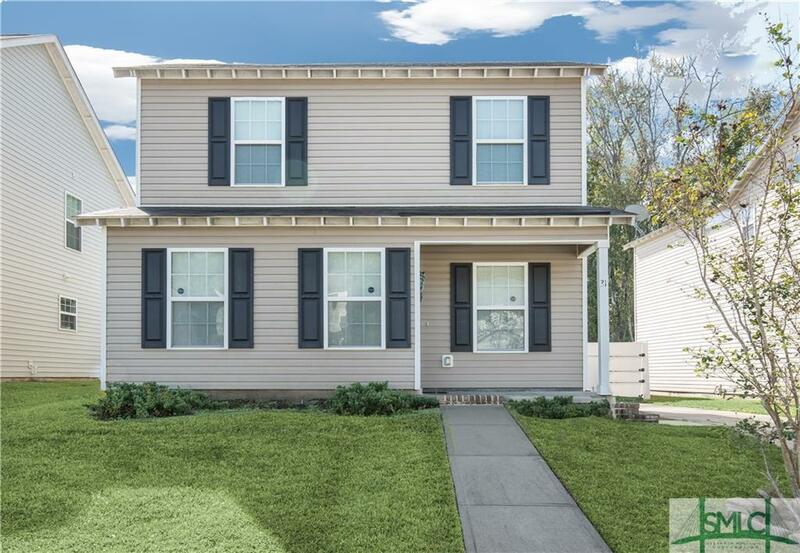 This community provides easy access to Fort Stewart and Hunter Army Air field as well as restaurants and shopping in Savannah and Richmond Hill. The Coastal Georgia Botanical Garden is minutes away with ornamental gardens and pick your own berry fields. Enjoy a coastal life style of water activities and cooking up the local catch of the day with Kings Ferry boat ramp 1.4 miles away.